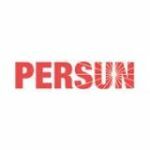 PersunMall.com is a global website online shopping store offering fashion-forward clothing (tops & bottoms), jewelries, accessories and shoes, bags for the high street in the blink of an eye. Persunmall.com is committed to providing you with high-quality women's fashion with unexpectedly low prices and satisfactory customer services. Details: Save 8% on $250+ For Shoes, Bags, Jewelry, Apparel And Stylish Dresses. Details: Save 10% on $350+ for Shoes, Bags, Jewelry, Apparel And Stylish Dresses. Details: 20% off $100+ Plus Free shipping on all orders. Expires on 11/30/2013. Details: 20% Off $200+ Plus Free shipping on all orders. Expires on 11/30/2013. Details: Get 10% Off $60+. Ends 03/01/2014. Details: 10% off $100+ Plus Free shipping on all orders. Expires on 11/30/2013. Details: 5% off $60+ plus Free shipping on all orders. Expires on 11/30/2013. Details: 15% Off $150+ Plus Free shipping on all orders. Expires on 11/30/2013.